All the kids in the theater liked the Grinch film that day, but Erin found the experience rather blasé. I know, I know - we've already released a podcast reviewing The Grinch, but I wanted to cover a few details we glossed over, like the plot. 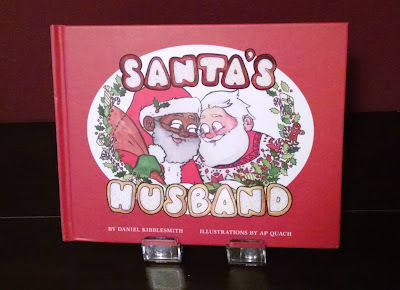 It's worth noting the story is a little different this time. Or rather, it's almost entirely the same, but the reasons things occur, along with what that implies, is completely different. 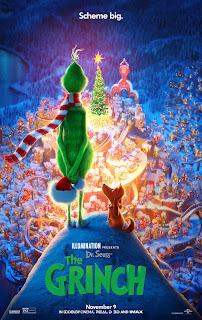 Like the original, this revolves around the Grinch, a green-furred individual living on a mountain overlooking Whoville, a town of elfin creatures who live for Christmas. Unlike the original, the Grinch isn't a monster in any sense of the term. He lives apart from the Whos, though he regularly goes into town for groceries. While there, he's somewhat misanthropic, but not to the degree he's shunned or even disliked. One of the Whos even considers him a close friend (though the Grinch doesn't share the sentiment). 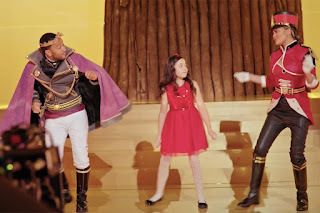 Lindsay and I already discussed our reactions to The Nutcracker and the Four Realms in the Mainlining Christmas Podcast, but I wanted to cover a few aspects we omitted. Apologies in advance for anything redundant. Speaking of redundancy... we talked briefly about comparisons between Four Realms and the 1979 stop-motion special, The Nutcracker Fantasy, but it's worth noting the similarities are more than superficial. Both movies lean in heavily to Wonderland parallels, they incorporate ballet in a similar fashion, they make heavy use of clockwork imagery, and even use some of the same color pallets. I'm not sure if this is a case of them drawing from like sources or if Four Realms was partially inspired by Fantasy, but it's certainly notable. Erin: Welcome to the first ever mini-episode of the Mainlining Christmas Podcast. 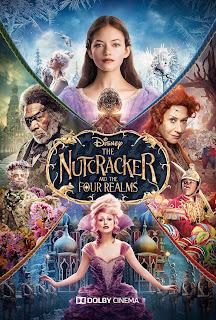 We just got back from watching The Nutcracker and the Four Realms, the new holiday-themed fantasy film from Disney. Lindsay: For those of you who missed the advertisements, this is the live action sequel to the animated Disney Nutcracker movie from the 60’s that doesn’t… actually… exist. Erin: It’s weird because it’s structured as a sequel in the exact same way Tim Burton’s live-action Alice in Wonderland was. Lindsay: Like, the EXACT same way. Erin: But Disney never actually adapted the original, unless you count those segments in Fantasia. Lindsay: The makers of Four Realms certainly seemed to. There’s an extended homage to Disney’s Fantasia in the middle of the movie and a callback during the end credits. 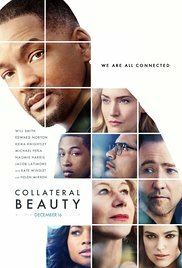 Collateral Beauty wasn't really marketed as a Christmas movie, but then its marketing was baffling in several respects. For one, the whole "he's interacting with Love, Time, and Death" thing permeating the advertising was quickly undercut by the fact that, in the movie, these three are actually actors hired by the lead's coworkers to portray Love, Time, and Death. I mean, sure, the ending reveals they were actually Love, Time, and Death masquerading as actors masquerading as Love, Time, and Death (and it's pretty obvious all along), but it still makes for an even more bizarre experience than it would otherwise. 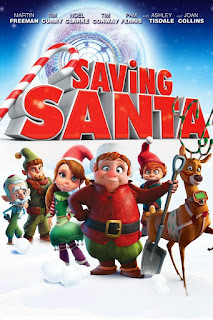 Saving Santa is a 2013 direct-to-DVD computer animated movie that's something of a paradox. 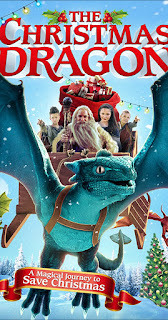 I suppose that's appropriate, since the movie is about "a time-traveling elf," but that's not the kind of paradox I'm referring to - I'm talking about the writing, which is at once utter crap and impressively nuanced. More on that in a moment. First, the plot. 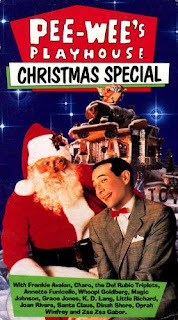 Bernard D. Elf, astonishingly only the second-worst-named character in this movie, wakes up late for an appointment showing off his new invention to the North Pole's tech company. He races across town and gets them to watch, but in the process momentarily blacks out the elf city's power. The time the grid's down is just enough for Neville Baddington (and that'd be #1) and his evil package delivery company to determine the cloaked location of Santa's operation. Unaware they're on their way, Bernard heads to his day job, shoveling reindeer dung out of Santa's stables. The strangest thing about the sitcom Son of Zorn might be that it doesn't air at midnight on Cartoon Network. Stylistically and conceptually, this would be right at home with any of the late-night Adult Swim shows, which were clearly an major influence on the program. The premise centers around Zorn, an animated - literally animated, in the style of He-Man - warrior from a magical island nation, who moves to California to reconnect with his teenage son. Everything from Zorn's homeland is animated against a live-action setting full of real actors. It's a bizarre show, but both the writing and production values are quite a bit better than you'd expect. At one point while we were watching this, Erin turned to me and asked in disbelief, “You’ve watched this before?” What can I say, I used to work a lot of nights before we had Netflix; on many afternoons PBS was my background-noise companion. Super Why! 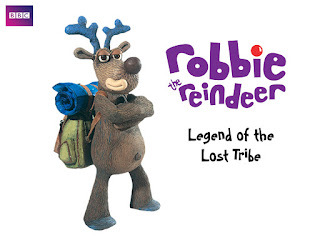 is one of the least interesting of the PBS kids shows that I’m familiar with from this era. It’s not so annoying that I would necessarily turn it off, you know, if my hands were covered in paint or something, but I wouldn’t seek it out. 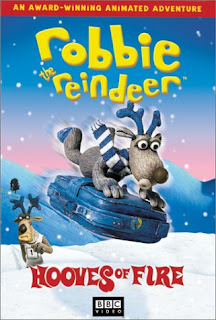 The show follows Whyatt and his fairytale friends who live in Storybrook Village (which is a CG land hidden behind a secret door on a library bookshelf). 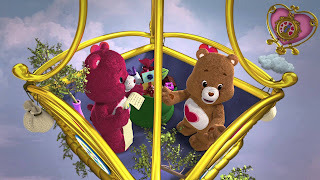 In each episode, Whyatt (his big brother climbed a beanstalk), Pig (of the Three Little), Red (Riding Hood), and Princess Pea have a question to answer. 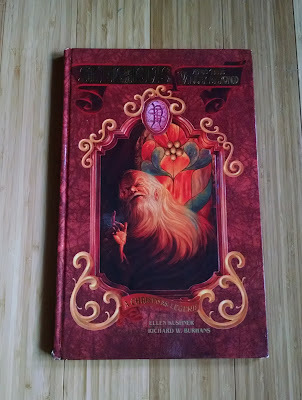 They seek the answers by becoming the Super Readers, magically flying into another storybook, and helping the characters there. 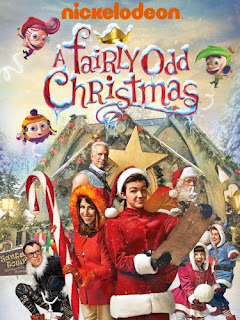 "A Fairly Odd Christmas" is the live-action made-for-TV sequel to the similarly live-action made-for-TV movie "A Fairly Odd Movie: Grow Up, Timmy Turner!" 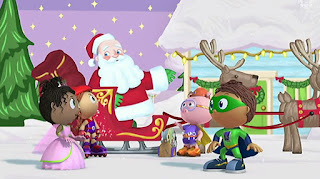 which is itself a sequel to the Nickelodeon series "The Fairly OddParents," which had a Christmas special of its own, though that featured an entirely different version of Santa Claus and therefore doesn't seem to be in continuity with this film. I should probably add that I've never seen the first live action movie or any of the animated series other than the aforementioned Christmas special.